The Chinese Ministry of Construction and the Dutch Ministry of Housing agreed on the cooperation on sustainable building in China. 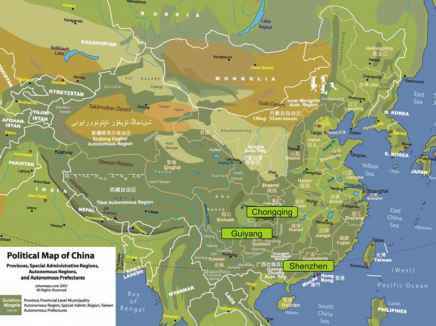 The cooperation consists of de definition of several demonstration projects in different areas of China (Fig. 2.22). Within these projects, mostly large developments, knowledge about the integration of measures, which increase the preparedness of the area for changes in climate, is exchanged and implemented in the plans. The aim is to improve the quality of integrated and adaptive spatial plans. The Chinese context differs from the Western one. The pace of developments is fundamentally different. The full continue workforce in the building sector leads to the draft of plans and designs almost during the ongoing building process. This offers chances, but contains some difficulties too. The chances can be found in the fact that a design is never final until it is built. This means that until the very last phase of planning and design the integration of climate adaptive measures can be realised. The other side of it is that planning processes are running so fast it is hardly possible to propose adjustments because actuality shifts from one day to the next. If adaptation measures are implemented in the planning process they will be realised immediate. The second aspect of the Chinese context is the strong hierarchy. Central regulations will be carried out throughout the country and will be executed immediately. Until a certain measure is declared form Beijing no one would think about these measures, but the moment a declaration from Beijing is known everyone implements it. This results in a very effective implementation of measures if the congress agrees on them. For example: since the congress decides on energy saving measures energy-saving lamps can be found around the country. Another characteristic is the attitude of the Chinese. They are very curious about new developments and technologies. Different from the Western style, which sticks in planning processes often in proven techniques and old traditions, the Chinese are open to new findings and ideas. 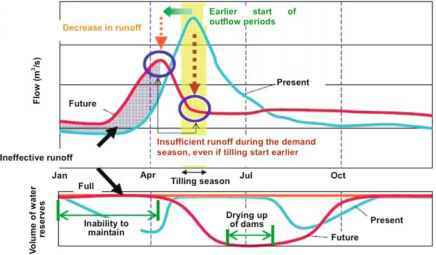 This leap frogging of simply skipping the phase of sector based planning makes it easier to implement climate adaptation measures. The last relevant contextual element is the competitiveness between Chinese project developers. These parties are conscious of the fact that they can profit from rapid developments, but in order to continue their building pace and selling schemes, they need to distinguish themselves from the others. This makes green building and the implementation of adaptation measures popular and the developers have a srrong emphasis on becoming a demonstration project. This competing and scoring in trying to be the best developer leads also to immediate implementation of adaptation measures in the projects.